Project management is all about juggling: people, data, expectations, resources—you name it. At any given moment, a project manager has to know where each “ball” is, where it’s going, and where it needs to be. And when you’re dealing with million-dollar budgets, impatient shareholders, angsty developers, and tight deadlines, this is easier said than done. To keep everything on track, project managers need all the help they can get. One of the best ways to track and measure ongoing progress is by using a project management dashboard. Lucidchart makes it easy to visualize real-time data and customize displays to the needs of the team and project. 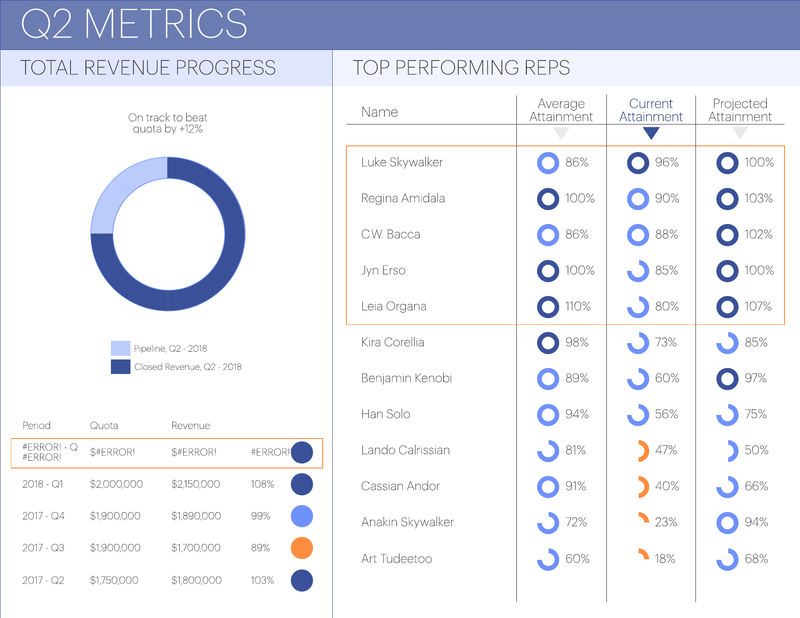 Learn how project dashboards improve project outcomes and how Lucidchart can help you get there. What is a project dashboard? Similar to the dashboard in your car, a project dashboard provides at-a-glance data and metrics about the current status of your project. With all the key performance metrics presented in one place, project managers can more effectively measure the triple constraints of scope, budget, and time. However, unlike a car’s dashboard, which tracks the same key metrics (e.g., speed, RPM, gas mileage, MPG, etc.) from vehicle to vehicle, project management dashboards are more flexible and can vary significantly depending on the project, team, and tracking needs. However the data is delivered, there are significant benefits to keeping an updated project dashboard in your management toolbox. 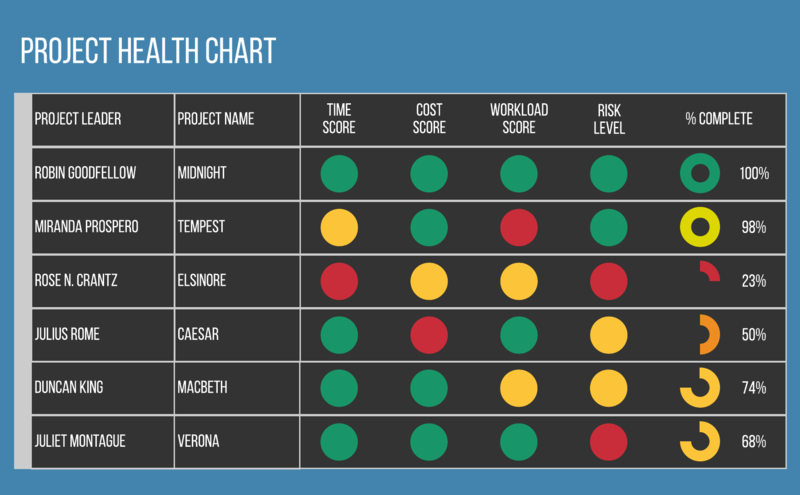 Keep in mind that a project management dashboard isn’t just for the project manager. When all stakeholders have access, each team member and decision maker can stay abreast of developments, needs, and progress on both a high- and granular level. Everyone stays on the same page, improving communication across teams and individuals. Plus, with an at-a-glance progress report, leaders and team members don’t have to waste time slogging through disparate data sets and mocking up new reports. By the time they’ve manually compiled all the data and put it into a cohesive report, the data is already old. Read: virtually useless. Instead, project dashboards simplify this work by compiling the data in one place with real-time updates. This means less time wasted on reporting and more time focused on completing project tasks and driving the project forward. Additionally, displaying key data in one place helps managers give more compelling presentations with persuasive visual evidence for everyone to see. Clear evidence makes it easier to get stakeholder buy-in on crucial decisions. For example, if the data shows that the project is over budget, the project manager can more easily persuade decision-makers to approve a project pivot or adjustment. What you track on your project dashboard will depend on the project and your goals for the dashboard. For instance, do you need to quickly see what tasks are completed or where there are bottlenecks in the schedule? Or do you want to track patterns or identify potential opportunities? These questions will help you determine what kind of dashboard you need and what functionality and features you should look for. To get the most value out of your dashboard, data should be presented in an easy-to-digest format and on a platform with multiple sharing options. Remember: Project dashboards are not just for the managers, but for the team to track their progress. If they can’t easily access the dashboard or if it isn’t customized to the project’s data needs, it will go to waste. 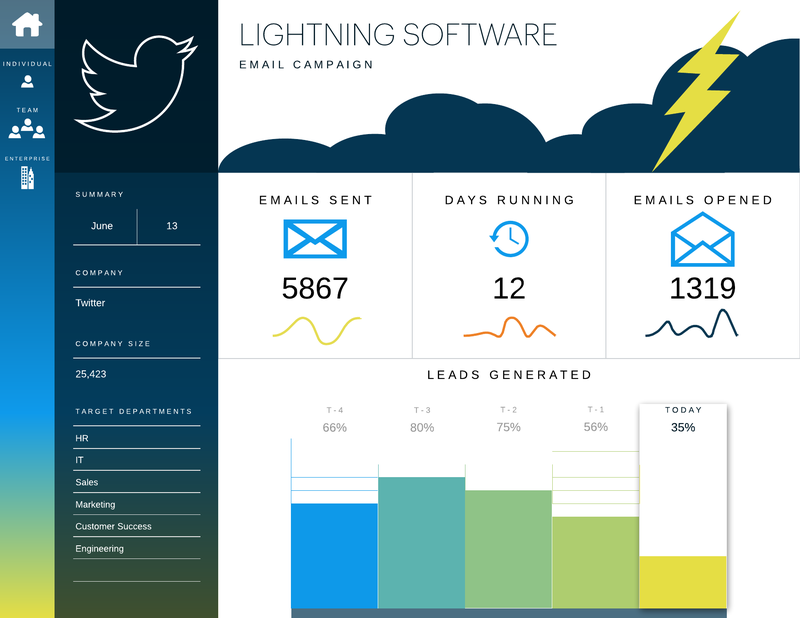 Additionally, and perhaps most importantly, look for dashboards that offer real-time data updates. In the world of product development and project management, data can change within hours and even minutes. If you have to manually import, export, and convert data from one platform to another before your dashboard can render it, your data will fall behind, leading to inefficiencies at best and false assumptions and critical errors in decision making at worst. Give your team and your project the best chance of success by using project dashboards that deliver the best data when you need it, how you need it. Lucidchart may not be a business dashboard tool, but its features give project managers the flexibility and customization they need to craft elegant data visualizations that not only look professional but can keep up with leading project dashboard software. Lucidchart offers data linking capabilities with a blank canvas, so project managers get the best of both worlds. You can build your dashboard from the ground up so that you can visualize what you want, how you want while features like data linking and hotspots give you the function you need to generate real-time reports at a glance. Because Lucidchart is a cloud-based platform, those with access permissions can input information in real time, so your data is always up to date and accurate. For example, if you want to track task progress across the team and individuals, they can update their task status right in the document so everyone can see the project’s completion rate. These features make it easier to collaborate on projects, improving team communication and reducing data delays and inaccuracies. Don’t drop the ball—try Lucidchart for free today.